In the heart of rural Derbyshire, Risley Hall Hotel and Spa is an 11th-century manor house surrounded by 17 acres of period gardens and grounds, two and a half hours north of London. Guests are treated to a traditional English country house experience, from the look and feel of the rooms and suites to the seasonal fare served in the Abbey's Restaurant. Set apart from the manor house, the Inspired Health and Beauty Spa allows guests to unwind in the indoor pool, Jacuzzi, and steam room before indulging in a pampering face or body treatment. The lovingly restored 16th-century Baronial Hall, with its minstrel's gallery, provides an unusual venue for weddings and conferences. Secluded in the grounds of the hotel, the adults-only Inspired Health and Beauty Spa is a two-story building with a marine theme throughout. Facilities include a heated indoor swimming pool, Jacuzzi, steam room, and a traditional sauna. Nine treatment rooms provide ample space for the array of Jessica and Elemis treatments offered. The spa also has a hydrotherapy bath for the signature Full Hydrotherapy Body Treatment, which combines a full-body scrub and water massage with a choice of algae or marine salts to fully relax and revitalize. Guests wanting gentle exercise can go for walks and rambles on the 17 acres of grounds and gardens. The hotel's location between Nottingham and Derby puts guests in the heart of Robin Hood country, with easy access to major attractions such as Nottingham Castle and Sherwood Forest. Also nearby, visitors can see staggering views from the Peak District National Park. For those looking for culture, Wollaton Hall is close by (nice grounds and a number of museums to visit), as is Chatsworth House (once home to the Duchess of Devonshire, subject of the 2008 film 'The Duchess'). Both Nottingham and Derby city centers provide ample opportunity to shop, from big stores to Nottingham's German Christmas Market, held each winter. Risley Hall offers a selection of rooms and suites. 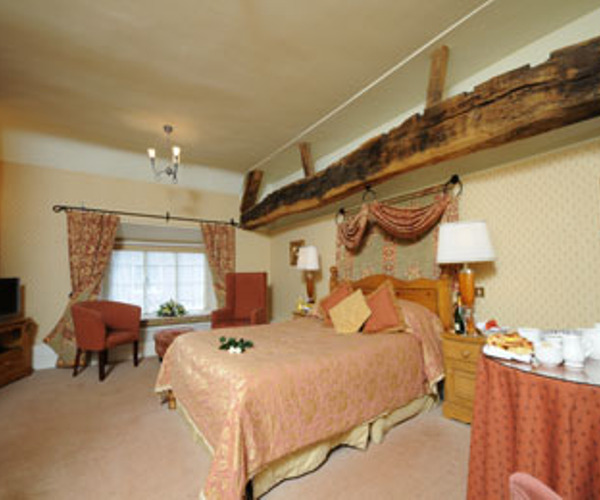 Sixteen individually named rooms are housed in the manor house itself, each with its own decor and style. A further 19 spacious suites are located in the adjacent Willoughby Court wing. The hotel offers 24-hour room service, and all rooms are stocked with complimentary in-room toiletries. With its open fire and garden views, the Drawing Room provides guests a warm, relaxed area to unwind in the evenings. 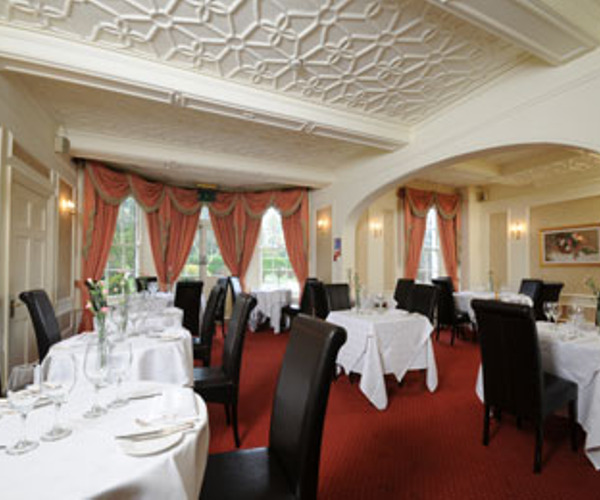 Abbey's Restaurant, with its views of the landscaped gardens, provides the ideal setting for the offering of AA rosette standard traditional English fare. Light snacks are offered throughout the day in the Cocktail Bar and Orangery, and a healthy buffet is offered in the spa. Anyone looking for a more adventurous night's entertainment has a choice of a wide range of clubs and bars in Nottingham city center.